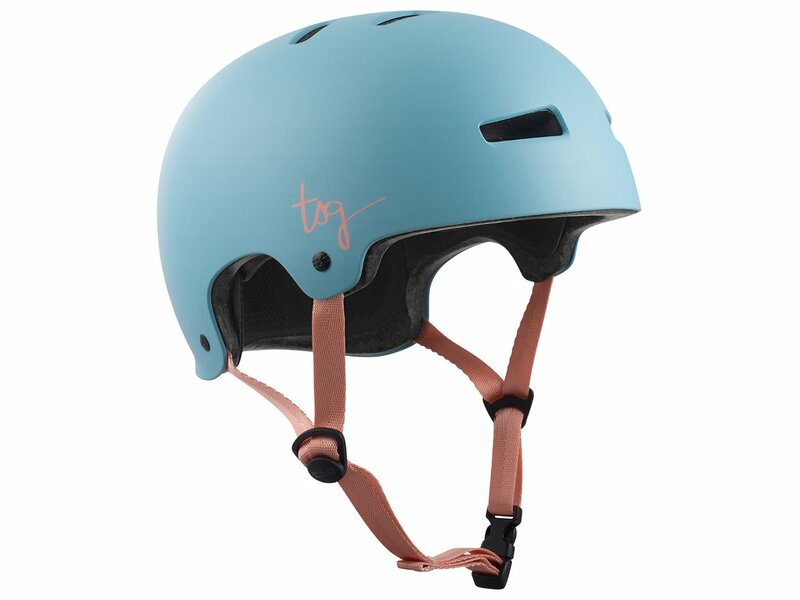 The TSG "Evolution Women Solid Color" Helmet - Satin Porcelain Blue is one of the slimmest hardshell designs available. It features a tough skate-style hardshell construction, which securely protects your head. The design curves anatomically around the head for a great fit and tailored wearing comfort.